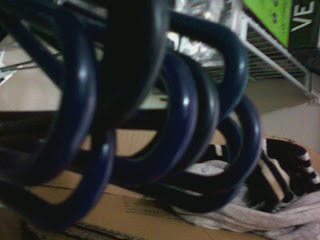 These are some hangers in my closet that caught my attention after laundry. This was the first movement picture I took when walking home from WASH the day were assigned the project. This is a picture of the burner on my stove in my apartment. These are my bed stools stacked up, if you look at them in a certain angle, it looks like they are a train.